The FUN way for children to learn Bible stories…and a lot more! 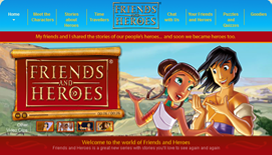 Friends and Heroes uses creative storytelling and high-quality animation to teach, entertain, and inspire children through exciting adventures and life-changing Bible stories. 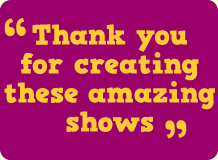 Your kids will love the excitement, action, suspense and humor in every video episode. You will love the fact that your whole family is learning important lessons about courage, faith, hope and much more from timeless, powerful Bible stories. 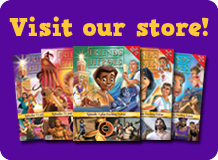 You can even make Friends and Heroes video resources part of your family devotions, homeschooling or your church’s children’s ministry through our outstanding curriculum resources! Boys and girls will be thrilled by the first-century adventures of Macky and his friends and their lives will be changed forever by the powerful Bible stories shared in each episode. The Bible comes to life for your children! Kids love movies and TV, why not give them something to watch that’s good for them? Your children will love learning life-changing stories from the Bible with our animated videos. 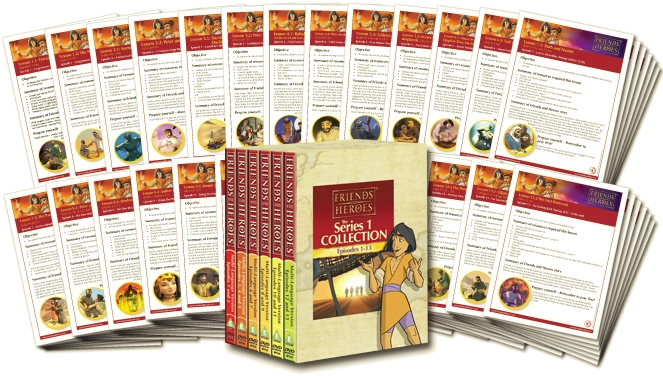 The entire collection includes 39 thrilling episodes available on individual DVDs or in series collections either from our webstore or the Friends and Heroes Amazon store. Prefer streaming? All 39 episodes are available for rental or purchase through Amazon Video, iTunes or Vimeo. Click the image below to watch an extended sample of Episode 1. 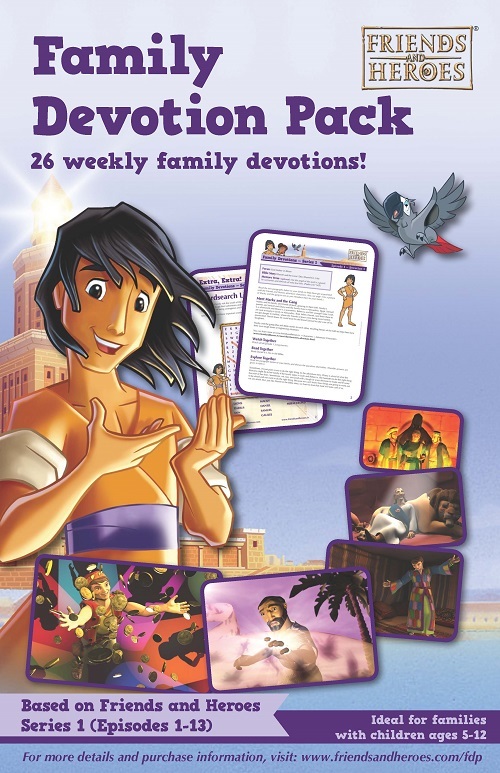 Based on our exciting video adventures with life-changing Bible stories, this Family Devotion Pack provides everything you need for 26 dynamic, fun weekly devotions or family Bible studies that will get kids AND parents involved! Plus, everyone will enjoy the episodes on DVD for family viewing for years! Save by purchasing the Family Devotion curriculum materials (without the video episodes) by digital download or on CD-ROM. Visit our Family Devotion Pack page to learn more and download a FREE devotion! Learn about purchase options by visiting our webstore or the Friends and Heroes Amazon store. Friends and Heroes Homeschool Bible Study is fun, engaging Bible curriculum your kids will love! Based on our Series 1 video episodes, this Homeschool Bible Study provides 36 weeks of curriculum for children ages 7-11. Visit our Homeschool Bible Study Curriculum page to learn more, download free curriculum samples and view a video clip. 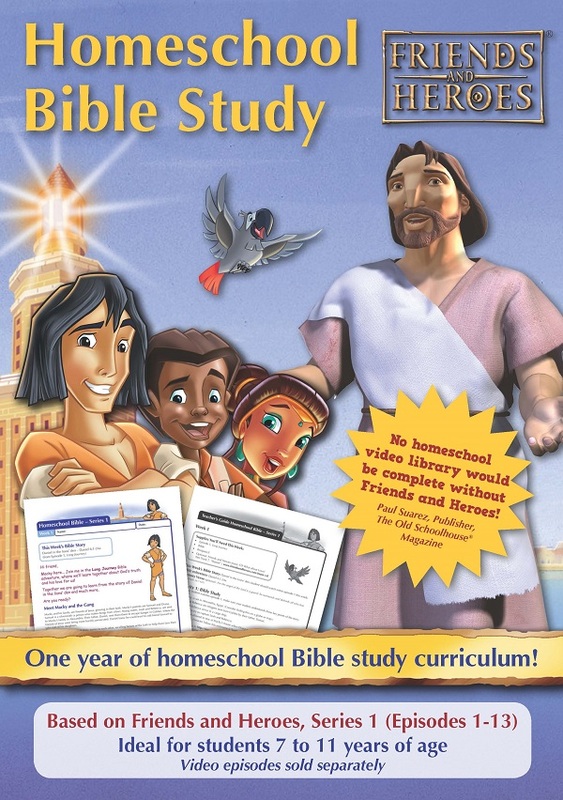 Friends and Heroes Homeschool Unit Studies are also based on our award-winning video adventures with Bible stories. Each unit study is designed for kids 7-11 years of age and contains cross-curricular learning in six subjects in a single all-in-one lesson pack - exciting, hands-on, easy-to-use, attractively designed, colorful and fun! 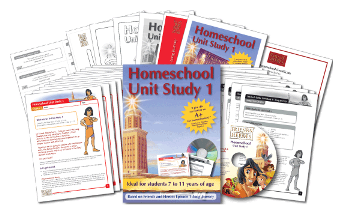 Visit our Homeschool Unit Study page where you can learn more, download free curriculum samples and view a video clip. Friends and Heroes Children's Bible Lessons use both the adventure stories and Bible stories from our exciting animated videos combined with group discussions, fun activities, crafts and a weekly take-home sheet to teach kids to apply important Biblical truths to their daily lives. Each curriculum pack also includes a lifetime public display license and Bible curriculum for churches or schools, all delivered by digital download or on CD-ROM. You can download sample lessons, view a video clip and learn all about our children's Bible curriculum by visiting our information pages for Church Bible Lessons and School Bible Curriculum. Ideal for churches and schools - try it now!